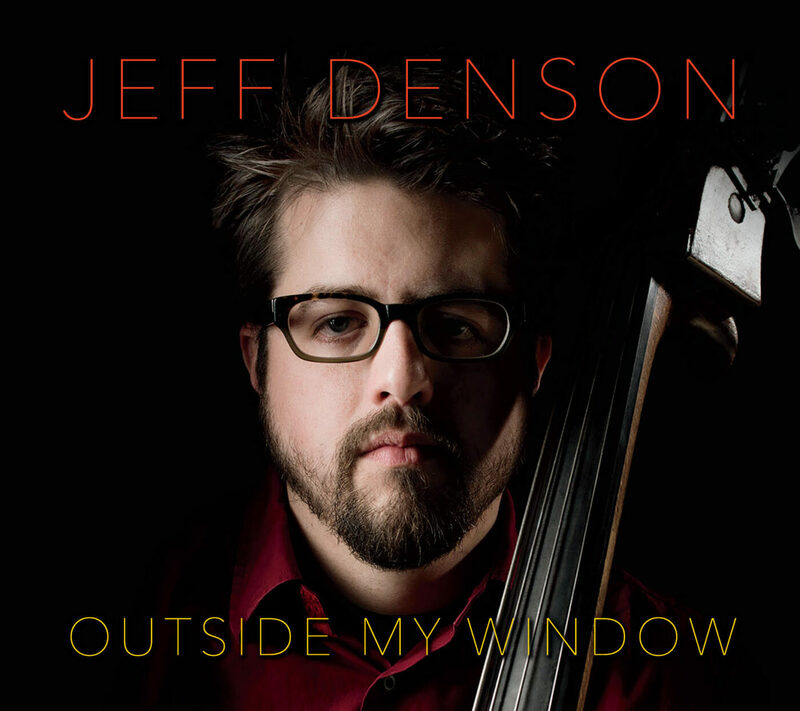 At first glance bassist Jeff Denson appears to reinvent himself on every album, and his 12th release as leader or co-leader, 6th under his name, Outside My Window, might seem like his biggest departure yet. Possessing a huge, galvanizing sound and a lyrically-charged compositional vision, the supremely versatile Denson has earned recognition over the past 15 years as one of his generation’s definitive bassists. Jeff has performed around the world in many of the top jazz festivals and venues with some of the biggest names in jazz such as Dave Douglas, Brian Blade, Joe Lovano and many more including being a member of jazz legend, Lee Konitz’s quartet for over 12 years. Slated for release on his label Ridgeway Records on May 4, 2018, Outside My Window recalibrates his already expansive array of creative outlets by giving equal weight to his vocals. Working with a stellar international quartet, Denson delivers an emotionally taut program weaving together striking interpretations of iconic songs and deeply felt originals. Denson’s arrangements of four songs by other artists don’t reimagine the pieces as much as filter them through his subtle sonic palette, starting with a gorgeous, lapidary version of “Grace,” a piece inspired by the Negative Press Project album he produced last year for Ridgeway Records, Eternal Life: Jeff Buckley Songs and Sounds. He delivers a sparse, intensely poignant rendition of Abbey Lincoln’s “Bird Alone,” a re-harmonized 6/8 version of Peter Gabriel’s “In Your Eyes” and a riveting arrangement of “Fell On Black Days” by Chris Cornell, a piece that serves as a tribute to Soundgarden’s vocalist, who’s music served a high school soundtrack for Denson. Denson’s four original pieces stand up impressively next to his interpretations, from the Beatlesque optimism of “For A Brand New Day” to the clangy prepared-piano accompaniment of the anguished “Have We Really Gone This Far?” On a melancholic piece that feels like it beamed in from a universe neighboring Miles Davis’s In a Silent Way, Denson contributes an atmospheric wordless vocal on “Through the Mist,” a tune he’s radically rearranged since the collective trio Minsarah introduced it in 2006. The closing title track is a wistful invitation into Denson’s verdant musical world.